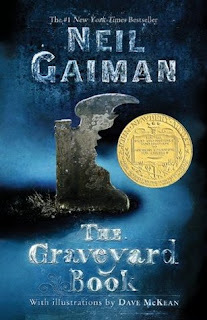 I've had many-a-tour with Mr. Gaiman, but I think the Newbery-winning "The Graveyard Book" may be my favorite. What do I remember most about this Newbery-Award-winning author? The Twitter message he posted when he found out he won the honor. It was loaded with F*Bombs. That's exactly the word I would use if I won an award for children's literature, right? I would just explode with them all over social media. Eh, most kids who love a good Newbery Medal book probably don't use Twitter, so I'm sure the scores of children all over the world that got to enjoy "The Graveyard Book" were safe from the author's ironic acceptance speech. You can't hold it against the man, though. He was just excited. And he had a right to be. "The Graveyard Book" was a delicious blend of macabre and childhood without being wistfully gray and sad. The opening pages were some of the most almost-gruesome I would expect for a Newbery book. They instantly got me interested by hinting at horrible violence without actually describing the scenes of blood and murder. A total shoe-in for grabbing my attention. I love when things are inferred and not in-your-face described. It makes any suspense more suspensful and any horror more horrible. 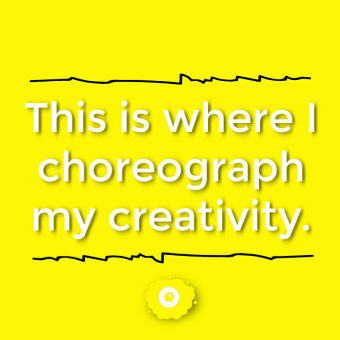 Too bad producers and directors don't take advantage of all of that. The plot begins with an innocent family slain by a man named Jack, but one of his to-be victims escapes. The to-be victim finds himself at the mercy of a local graveyard (which is in a very, very old part of London). The ghosts of the deceased find the boy and hide him from the dark and mysterious murderer. After a meeting has been held, the cemetery folk decide that it is in their best interest to raise the boy. A boy raised by ghosts? Perfectly perfect. The premise of the book was delightful and instead of being super-gloomy (which Gaiman is able to avoid in his other stories as well), it's a great coming-of-age tale with a nice supernatural twist. The ghosts name the boy Nobody, Bod for short (he was just a babe when he wandered to the graveyard), and the chapters are all about him growing up in the cemetery. He has his adventures. He learns his lessons. There are some ghouls involved. He has some neat abilities granted to him by the power of the cemetery, like "fading" and other abnormal abilities we all wished we had. He meets a young girl one day and they become good friends, but she stops coming to the cemetery for some reason...and then we meet up with her again when she's a teenager. And that's when that scary murderer Jack comes back. Of course the murderer comes back. Do you think he was satisfied that he missed one of his to-be victims? It all ties together in the end nicely, but I also enjoy how Gaiman leaves some questions unanswered. There's this larger, more supernatural world around Bod and the plot, but Gaiman decides to just touch on it without going into too much detail, and instead of confusing the reader, it works. Knowing an author like Gaiman, it's probably this entire mythology he's created that sits inside his head, but also surrounds some of the other books he's written. The true gift of a fantastical mind. I am currently working on that for myself.